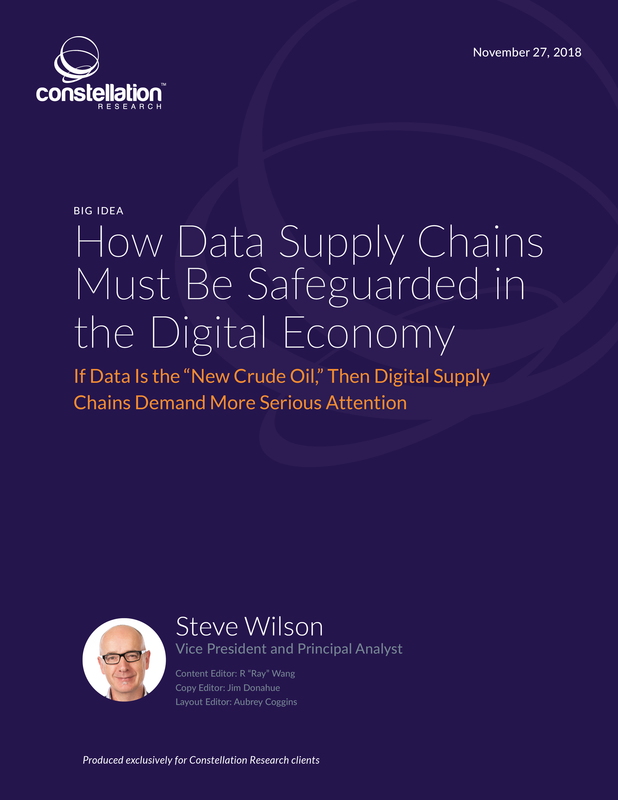 How Data Supply Chains Must Be Safeguarded in the Digital Economy | Constellation Research Inc.
Data is the defining raw material of the future economy. Serious attention must be given to the safety, security and reliability of information processing and data supply chains. To protect this most precious of materials, the digital economy needs entirely new standards and norms for plumbing the data circulating in cyberspace. This report envisions a large-scale data safety infrastructure for the digital economy, constructed over time through public-private partnership and based on new data security standards originating from the identity management industry. We draw lessons from the digital identity crisis and extrapolate from identity security as a special case to discover general-purpose data protection measures fit for the whole digital world.